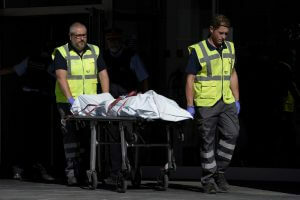 A man shot dead as he tried to attack a Mossos d’Esquadra police station had come out as gay and wanted to commit suicide, a source close to the probe said on Tuesday, based on testimony of the assailant’s ex-wife. 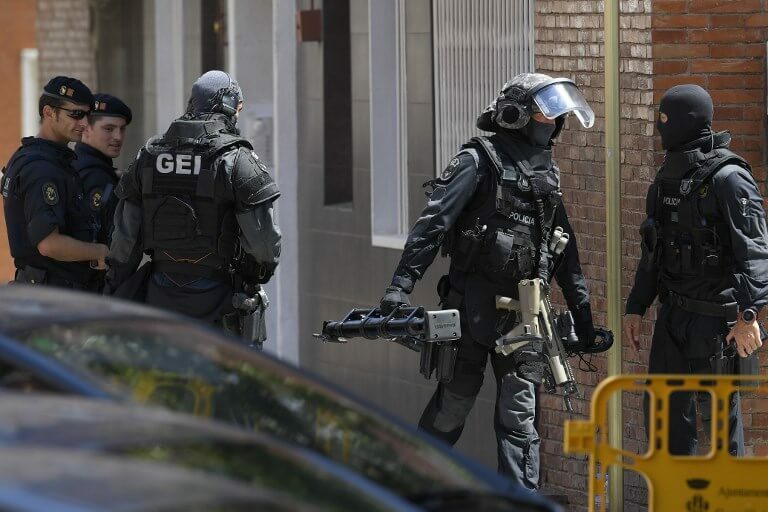 Abdel Wahab Taib, a 29-year-old Algerian man, invoked the name of Allah during the assault early Monday morning in the town of Cornellà de Llobregat in Catalonia. Some hours after the attempted knife attack, the Mossos announced they would be treating the incident as a ‘terrorist attack.’ Police said the man went to the station with a knife of ‘considerable size’ and attacked an officer who opened the door for him with a ‘clear intention’ to kill. 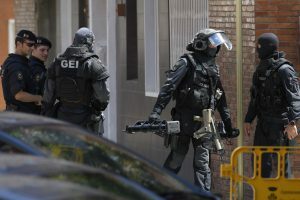 Special police forces leave after searching the apartment of a man who tried to attack a police station in Cornella on 20 August 2018. Whilst authorities are treating the incident as a ‘terrorist attack’, the source, who refused to be named, said ‘there don’t appear to be any signs of jihadism’. According to the source, Taib’s ex-wife, a Spaniard who reportedly converted to Islam after meeting him, told police he had recently told her he was homosexual. ‘She said they had separated, that he had revealed his homosexuality and that he was disturbed about how that fit in with the Muslim religion,’ the source said. Taib arrived at the closed police station in Cornella de Llobregat near Barcelona at 5:45 am on Monday and repeatedly pressed the buzzer to be let in, Rafel Comes, a commissioner with the Mossos d’Esquadra, told reporters. After police allowed him in, the man pulled out a ‘large knife’ and lunged at officers in ‘a clearly premeditated desire to kill an agent of our force’, Comes said on Monday. ‘The officer used her gun to save her own life,’ Comes said, adding the man shouted ‘Allah’ as well as words the police officers did not understand. ‘These are enough indication to treat the events being investigated as a terrorist attack,’ he said. Police later raided the man’s flat and left with some plastic bags, but did not reveal their content. So far, the police have not found any criminal record for the assailant. On Tuesday afternoon, the head of the Mossos d’Esquadra, Andreu Martínez,stated that the Catalan police have ‘no doubts’ about the reaction of one of their officers to being attacked by a man in the Cornellà de Llobregat police station on Monday. The officer shot the man dead after giving him ‘warnings’ said the head of the Mossos. ‘The police attitude was correct, proportional, appropriate, coherent,’ said Martínez, who claims that the assault was of ‘extreme seriousness’ and that the officer was left with no alternative. ‘After carrying out all police procedures, it is not pleasant, but she had to shoot this individual,’ he said on Tuesday afternoon. The remarks come only shortly after the attacker’s family made it clear that they are considering suing the police force for shooting their relative dead. According to their lawyer, the actions of the police ‘did not comply with the law’. Meanwhile, the far-left pro-independence CUP party has also criticised the shooting of the attacker. One of its leaders, Carles Riera, called the incident an ‘extrajudicial execution’ and has asked the Catalan home affairs minister for an explanation. ‘The mission of the police is not killing criminals,’ he added. However, a union representing the police backed the officer, because ‘nothing else could be done‘. ‘We have acted like a European police force,’ said union spokesman David Miquel. Yet, Miquel also pointed out that the attacker would still be alive if the officer had been able to shoot him with a ‘taser’ gun, an electroshock weapon, instead of her regular firearm.